An educator with over four decades of experience, Arun Kapur is the Chairman of Ritinjali, an NGO that works with the marginalized sections of society; and founded Pallavanjali, which promotes inclusive education. He is also the Director of Vasant Valley School which is among the most reputed institutions in the country. In the past, he has served as a Member of NCERT as well as the Central Advisory Board of Education and the NCTE panel. He has authored two acclaimed books: "Transforming Schools - Empowering Children" and "Leading Out - the True Purpose of Education". Shivshankar Menon served as National Security Advisor to Prime Minister Manmohan Singh from January 2010 to May 2014 and as India's Foreign Secretary from October 2006 to August 2009. His long career in public service spans diplomacy, national security, atomic energy, disarmament policy, and India's relations with its neighbors and major global powers. He currently serves as Chairman of the Advisory Board of the Institute of Chinese Studies in New Delhi and is a Distinguished Fellow in the Foreign Policy program at Brookings Institution, Washington D.C.
Latha Reddy is the former Deputy National Security Adviser of India. 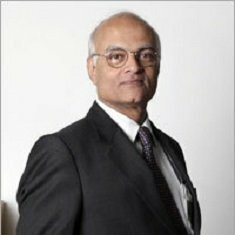 In addition to assisting then National Security Adviser Shivshankar Menon, Reddy was responsible for cybersecurity and other critical internal and external security issues. 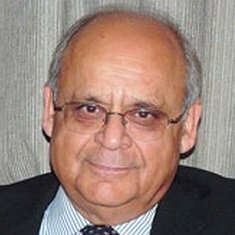 Reddy served in the Indian Foreign Service from 1975-2011. During her diplomatic career, she served in Lisbon, Washington D.C., Kathmandu, Brasilia, Durban, Vienna and Bangkok. 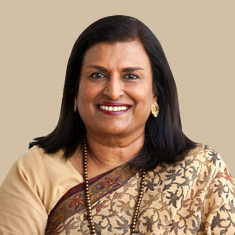 She served as Ambassador of India to Portugal (2004-2006) and to Thailand (2007-2009). She was Secretary (East) in the Ministry of External Affairs in Delhi (2010-2011) with overall charge of India,s bilateral and regional relations with Asia. She was then appointed as India's Deputy National Security Advisor in the Prime Minister's Office from 2011-2013. 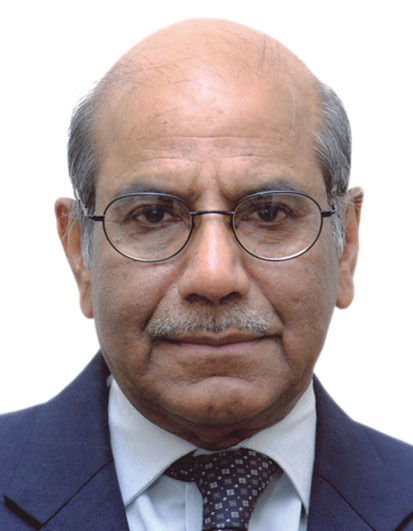 Shyam Saran is a former Foreign Secretary of India and has served as the Prime Minister's Special Envoy for Nuclear Affairs and Climate Change and as Chairman of the National Security Advisory Board. He is currently Chairman of the Research and Information System for Developing Countries, a trustee of the World Wildlife Fund (India), a member of the National Executive of FICCI, and a member of the Governing Board of the India Habitat Centre. In January 2011, Saran was awarded the Padma Bhushan, India's third highest civilian honour, for his contributions to civil service. He writes and speaks regularly on foreign policy, climate change, energy security, and national and international security related issues. 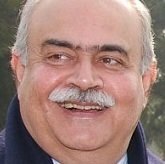 Vikram Sood is the former head of India's foreign intelligence agency, the Research and Analysis Wing (RAW). He ran the organization for two years. He previously served in the Indian Postal Service and was later absorbed in the RAS cadre. Currently Sood acts as Advisor to Observer Research Foundation. 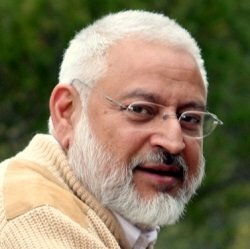 Since May 2004 he has been regularly writing for Hindustan Times, New Delhi, mainly on matters concerning Security and India's neighborhood. An award winning journalist, Suhasini Haidar is currently the Diplomatic and Strategic Affairs Editor for The Hindu. 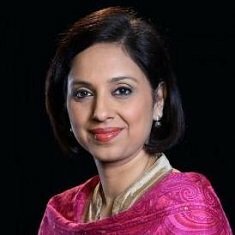 Earlier she served as the Senior Editor and prime time anchor for India's leading 24-hour English news channel CNN-IBN, also hosting the signature show, "World View with Suhasini Haidar." Prior to joining CNN-IBN, Ms. Haidar worked with CNN International (1995-2005), regularly reporting from India, Pakistan, Nepal, Sri Lanka, and Bangladesh. In 2011, she won the Indian Television Academy-GR8! Award for 'Global news coverage' and the Exchange4Media 'Enba' award for best spot news reporting from Libya. In 2010, she won the NewsTelevision NT "Best TV News Presenter" Award. Bhai Vijay Chhibber is the former Road Transport and Highways Secretary for the Government of India. 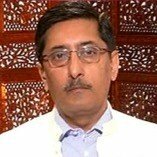 He has held several posts in both the State and Central Governments and was the Under Secretary and Deputy Secretary in the Department of Commerce, Deputy Director in AIIMS, Director in Cabinet Secretariat and Joint Secretary in Department of Fertilizers. He has also worked as Deputy and Joint Secretary in the Departments of Energy, Public Works, as Director in Department of Industries and Secretary to the Chief Minister, Manipur. Mr. Chhibber has held the post of Principal Secretary/Commissioner, Government of Manipur with responsibilities relating to Finance, Health, Education, Public Health & Engineering, Social Welfare, Tribal Welfare, Elections, etc. He has also been the Chief Election Officer of the State of Manipur. He joined the Manipur-Tripura cadre of the Indian Administrative Service in 1978.